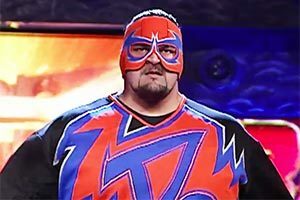 The number of wrestlers to succumb to personal demons such as drug and alcohol abuse are many, affecting everyone from main event stars to enhancement talent. 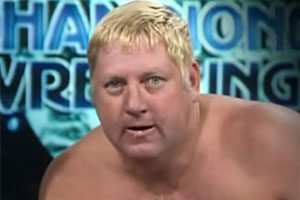 Such was the case with enhancement talent wrestler “Mad Dog” Mike Bell, who worked in the WWF and told of his struggles with steroid and recreational drug use in the documentary, Bigger, Stronger, Faster. Bell also had a brief run in the original ECW. Mike Bell struggled with weight issues as a child, and was mockingly called “Pugsley,” inspiring him to take to weight lifting and football. According to his brother Chris, Mike earned the nickname “Mad Dog” after beating up the bully’s who teased him in school. Eventually, Bell became captain of his high school football team, and enrolled at the University of Cincinnati on a football scholarship. Bell played Division I football until a knee injury ended his gridiron aspirations. With football out of the question, Bell quit college and turned to the squared circle. 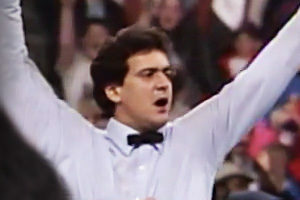 In the cut throat industry that is professional wrestling, Bell used steroids in an attempt to stand out – or at least keep pace with the giants of the 90s and early 2000s. Unfortunately, he grew despondent about his chances at success – increasing his drug use and becoming suicidal. 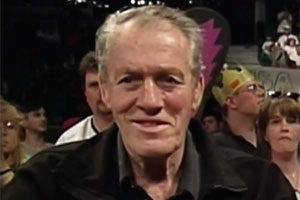 Although neither man was seriously injured, some fans believe the WWF disciplined Saturn by giving him a storyline where he fell in love with “Moppy,” an inanimate cleaning tool. Saturn denies that allegation. Mike Bell appears in his brother’s documentary, Bigger Stronger Faster (2008). Sadly, he would die from a drug overdose the same year the documentary was released. Mike Bell appears prominently in his younger brother Chris’ fascinating 2008 documentary Bigger, Stronger, Faster. The doc’ examines the history of steroids and steroid abuse, presenting the pros and cons, suggesting some of the warnings against steroid use are exaggerated. 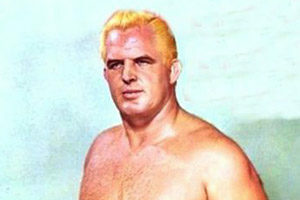 Chris Bell did not support steroid use, rather he pointed out the complexities of performance enhancing drugs, noting “there’s a clash in America between doing the right thing and being the best.” This was evident with his brother’s use of steroids in his quest to become a successful wrestler. In the documentary, Mike Bell candidly discussed his battles with abusing steroids and recreational drugs. Mike Bell was celebrating 60 days of sobriety when he died on December 14, 2008 at a Costa Mesa, California sober living facility. The Orange County California coroner’s office ruled Bell’s death as a heart attack caused by accidental inhalation of difluoroethane, a chemical used in the household product Dust-Off (a compressed gas product used for cleaning things such as computer keyboards). Bell was 37 years old at the time of his passing. Noting Mike was “never under a WWE contract” right before you offer condolences comes across insincere at best. 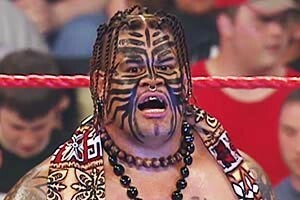 Perhaps the WWE was on the defense because the 2000s were not a particularly kind decade for wrestler deaths? 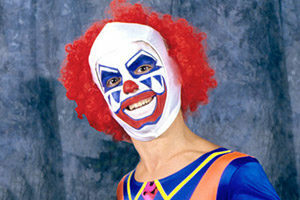 Mike’s passing was also less than two years after the Benoit murder/suicide, which understandably created a PR shitstorm for the company. 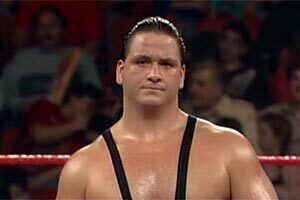 What are your memories of Mike Bell and other WWF enhancement talent? Share them in our comments section below.